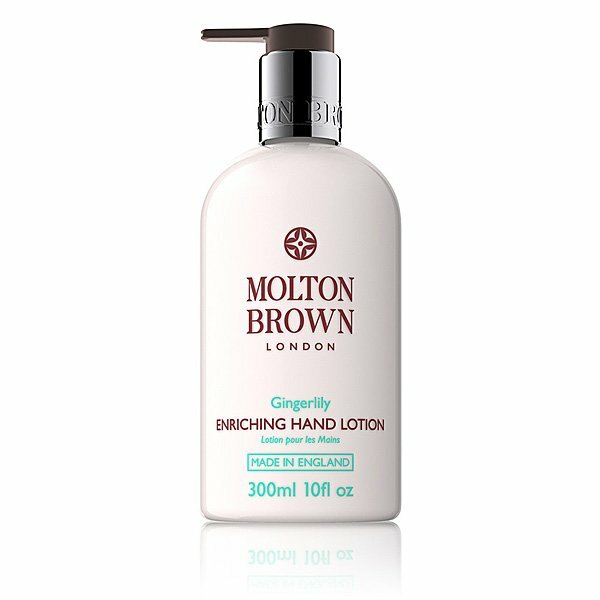 Molton Brown Gingerlily Hand Lotion is the scent of London via Tahiti. A luxurious hand lotion blended with enriching Polynesian tamanu nut oil and moisturising white lily extract. Exotic flora. Black sands. Fragrant spices perfuming the breeze. Exotic. Alluring. Escapist. The Blend: Top notes: warming ginger oil. Middle notes: exotic tuberose. Base notes: spicy cedarwood. Extract: white lily. Formerly known as Heavenly Gingerlily. Molton Brown Hand Lotions treat your hands to instant hydration & easy absortion. Beautifully scented with original fragrance, hand lotions are a Molton Brown icon with the following qualities: Skin moisture levels increased threefold moments after application; Skin moisture levels remain doubled even after 24 hours. Made in London, England, these washes are expertly blended with exotic ingredients, are for both men & women, & are never tested on animals. London's bath & beauty connoisseurs since 1973.